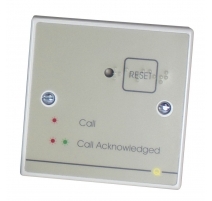 A programmable Quantec addressable call point c/w infrared receiver, call follower sounder and remote jack socket. 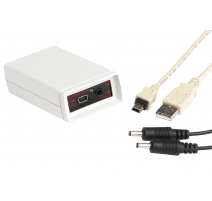 Onboard infrared receiver accepts calls from compatible Quantec infrared transmitters. Can make up to 7 levels of call - Standard, Ensuite, Help Required, Emergency, Attack, Presence & Attendance (dependent on configuration and ancillary devices used). Call follower sounder can be optionally used to inform staff that other calls are waiting when the system is in Night mode (see Technical Specifications for further details). QT602RSM magnetic reset version also available. Controls Call button; Reset button. 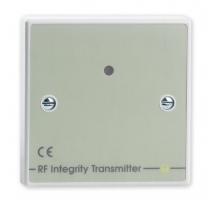 (QT602RSM magnetic reset version also available). Onboard Sounder Yes - can be optionally used for Quantec's Call Follower Sounder feature (if Quantec is in Night mode and the call point is in Presence, the call point will emit a soft tone to let staff know if a call occurs elsewhere on the system (as programmed). 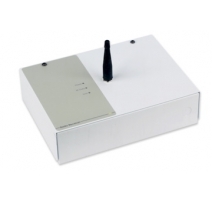 Onboard Infrared Receiver Yes - will accept calls from compatible Quantec infrared transmitter.